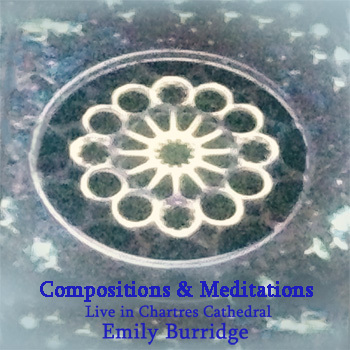 Emily Burridge's first CD production 'Earth Songs' was released in 1994 with a German independent label and in 2004 re-released on the label: White Horse World Music. The energetic source for the music was a journey made by Emily to the Mato Grosso Forest of Brazil. Staying in a vast raw natural environment, bathing in waterfalls at dawn, such experiences fed her senses in such a way that on returning to England she was inspired to convert these memories to sound and commenced writing lyrics which reflect experiences of this time. The music also reflects her deep interest for the healing power of sound and her empathy for indigenous people with integrated recordings of her field recordings of tribal ritual and song and indigenous musical instruments . "Freedom is free for those who choose Questions of time, no time to lose Working wonders in wondrous ways, Walking Freedom..Waking Freedom"
This track is compiled from edits of field recordings made by Emily during the Tribal Gathering at the Earth Summit in 1992 and all profits from this recording are donated to charities supporting Indigenous people. "Yanomami we hear your call, Yanomami we share your dream One heart, one mind, Don't give up We will unite. They come from the forest After thousand of years The rivers, the mountains, Echo their fears. The birds flee the region, The land turns to dust. There's Gold on their land- It's the World Bank's lust Yanomami we hear your call, Don't give up - we will unite Yanomami, Yanomami, oh Yanomami"
The feathered man calls for the forest could end. And looking out it breaks my heart for the forest smokes and the people depart. Look to the people of the forest alone. Woke up talking of a dream my friends!" "Listen to the Kogi Speak"
In the beginning, there was no sun, no moon, no people. In the beginning there were no animals, no plants, only the Sea. She was not anything, nothing at all. Listen to the Kogi speak. Listen to the words they speak. Listen to the breathing of the wind against your heart. Listen to the Kogi speak"
White light - the interplay within our lives"